Helmut Kuenne (F9/ASW27/Germany) will receive also the Delan Clip - motion tracking headset device which is compatible with FaceTrackNoIR, FreeTrack and TrackIR (headphones are not included, just the clip is the award). Award is sponsored by Tomasz Delanowski (TJD). Thanks goes to all pilots for joining us in the sky over Fatra mountains and also thanks to Radek Miča (RUM) for tasksetting. Big thanks goes to Miloš Koch (MK) and his www.condorworld.eu for preparing for us such a great sceneries as Czechoslovakia and hosting Condor servers. See you in next contests and Merry Christmas, Condor virtual friends! 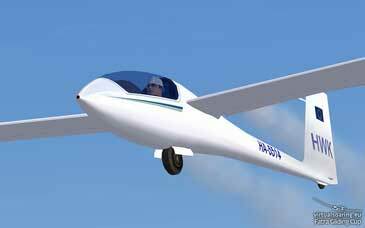 Welcome to our website of next virtual soaring competition at virtualsoaring.eu. After two years later we return to the Slovakia to have 2nd edition of Fatra Gliding Cup. We will race in 15-meter Class (ASW27, Ventus2 and LS6), tasks lenght more than 250 km, 8 racing days. All task will have take-off and landing at Martin airport in Slovak republic. We will use beautiful Czechoslovakia 3.0 scenery, author: Miloš "Cadfael" Koch. Servers will always start at 20:00 CE(S)T. Overall results is simple count of all 8 tasks. • Scenery: beautiful Czechoslovakia 3.0, author: Miloš "Cadfael" Koch. Big thanks goes to www.condorworld.eu for hosting Condor servers for our contests and preparing amazing sceneries for us. Thank you again, Miloš! This competition is continued line of successful competitions like Raven Competition 2013, Medlánky Condorworld Cup 2013, Hahnweide Pokal, Fatra Gliding Cup, Retro Cup, Fatra Gliding Cup 2011, Liptov Shepherd GP, Praděd GP Gliding, Raven Competition 2010, Kiwi Race, OCC and many others.